What’s a party without friends and smiles? Not a very good one. 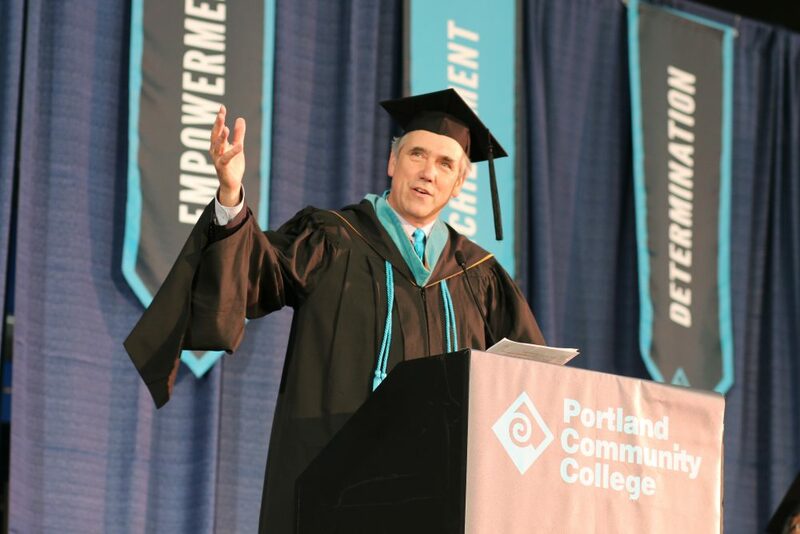 Portland Community College’s 56th commencement ceremony was the college’s biggest party of the year on Friday night (June 15), and it sported plenty of friends and smiles. 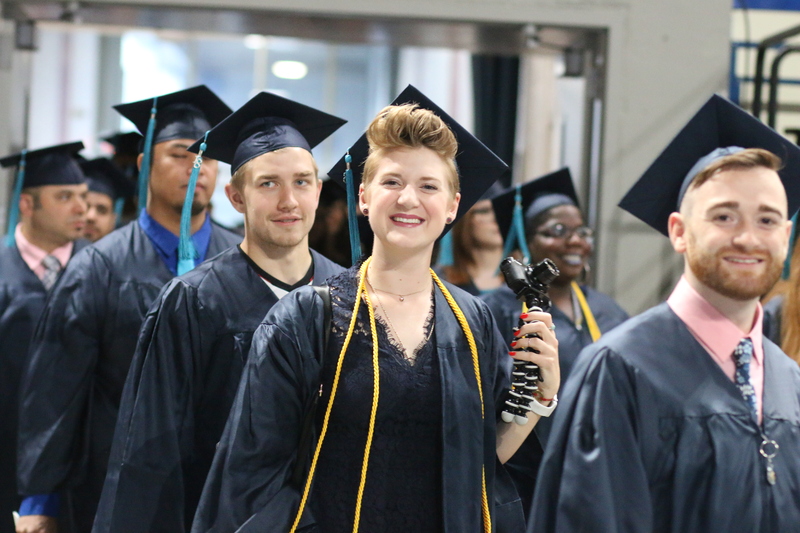 Thousands of well-wishers poured into the Memorial Coliseum to watch the students become college graduates. They also got to listen to a nationally respected political figure, and a student from Columbia County who wants everyone to embrace their warrior side. 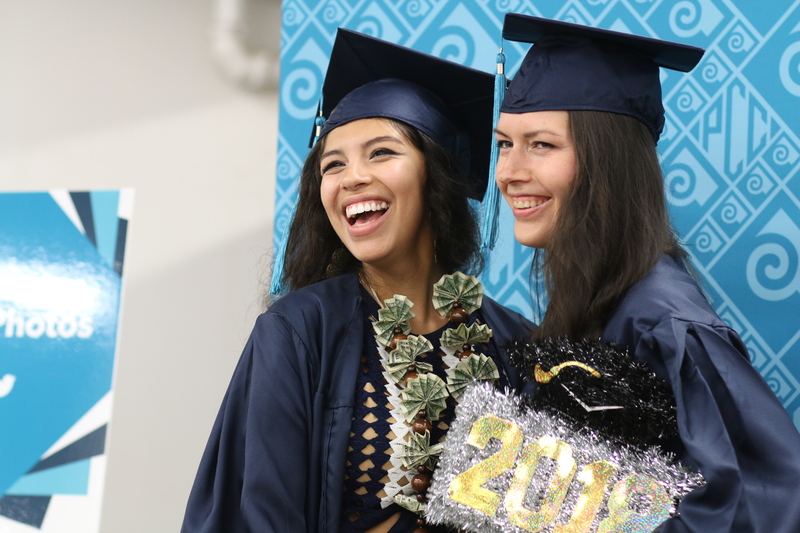 U.S. Sen. Jeff Merkley keynoted the college’s signature, culminating event, and was joined by student speaker (and warrior) Awen Moon Gatten. 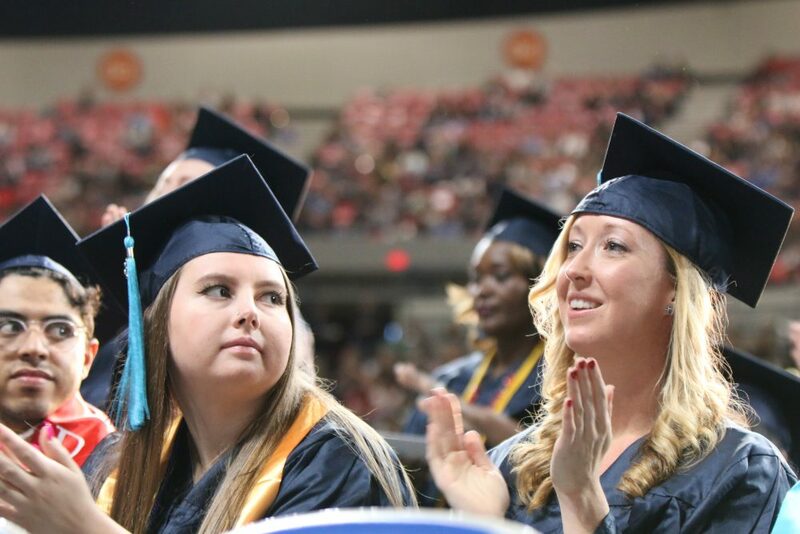 They inspired almost 1,000 graduates who were in attendance on the coliseum floor. 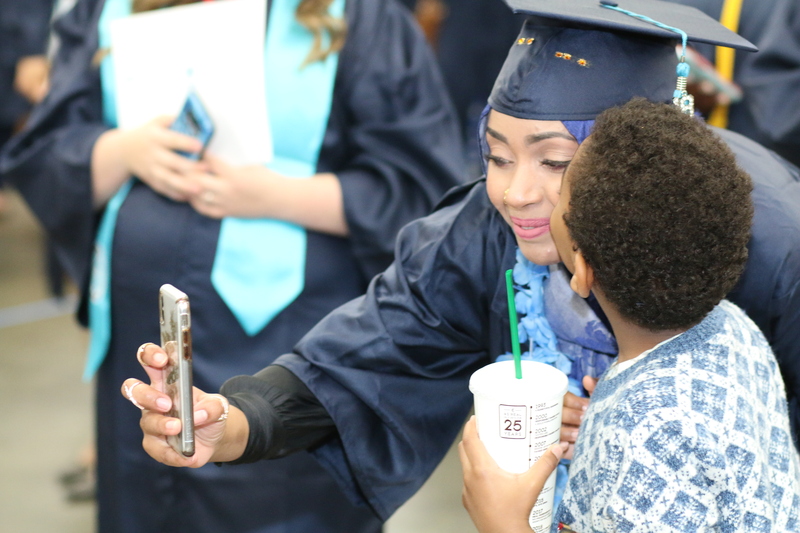 The following photos capture moments of the evening as friends, family, faculty and staff joined in the celebration of the graduates’ success and completion. 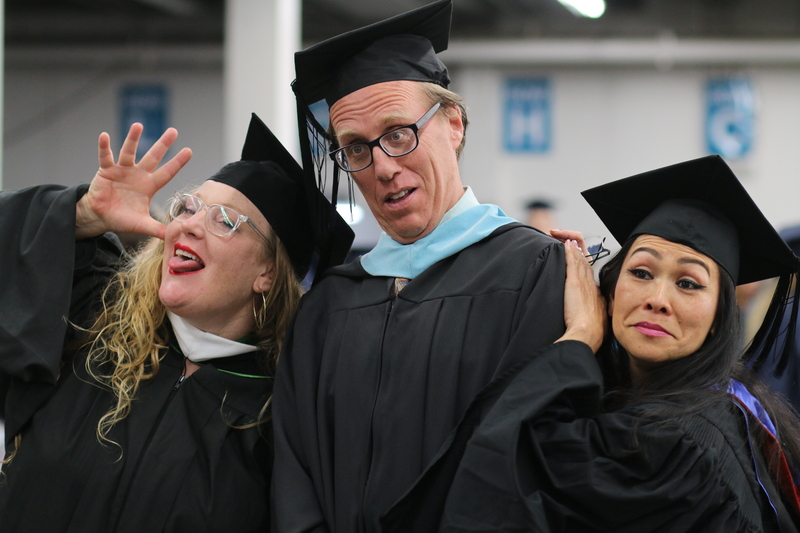 Academic advisor Jim Fasulo takes a moment to pose for a lighthearted picture with his fellow staffers. 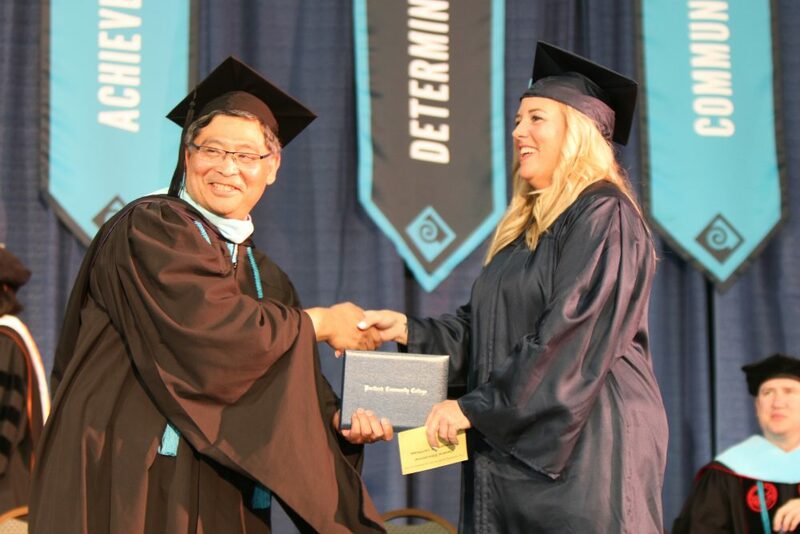 PCC President Mark Mitsui handed every graduate their degree or certificate on Friday night. 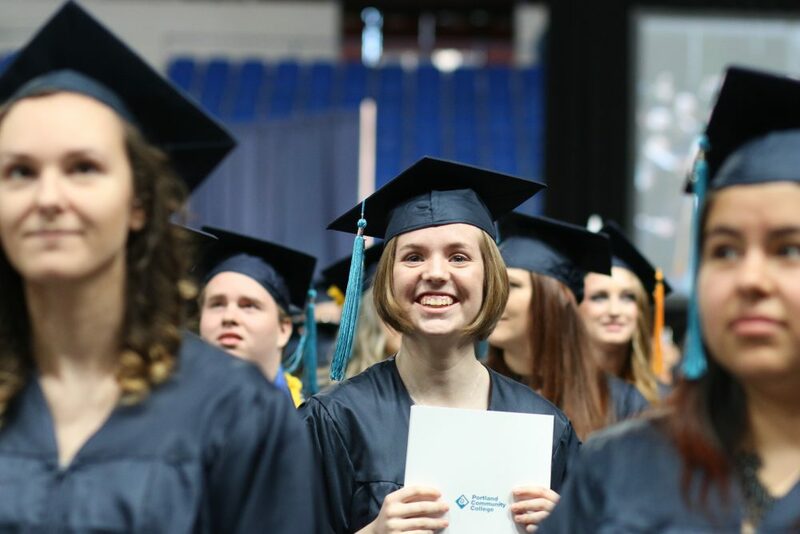 In total, the largest institution of higher education in Oregon awarded nearly 5,800 total degrees and certificates to graduating PCC students. 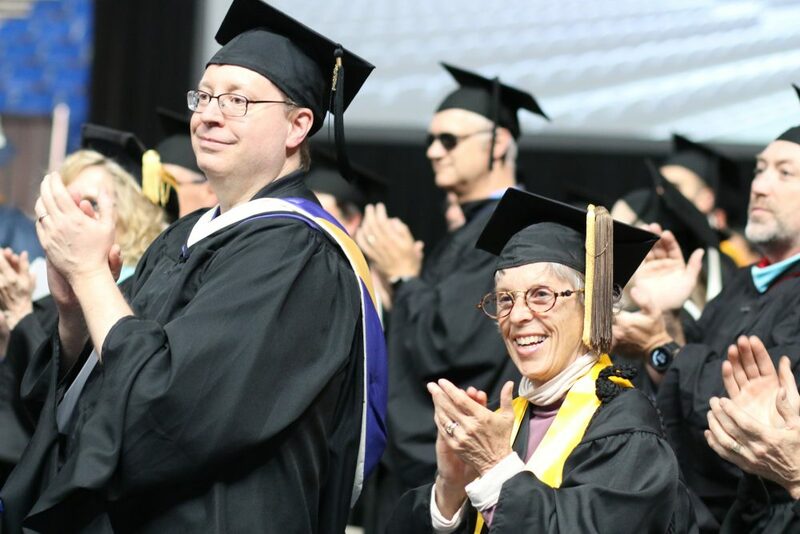 More than 4,000 friends and family were in the Memorial Coliseum for the 56th graduation at PCC. 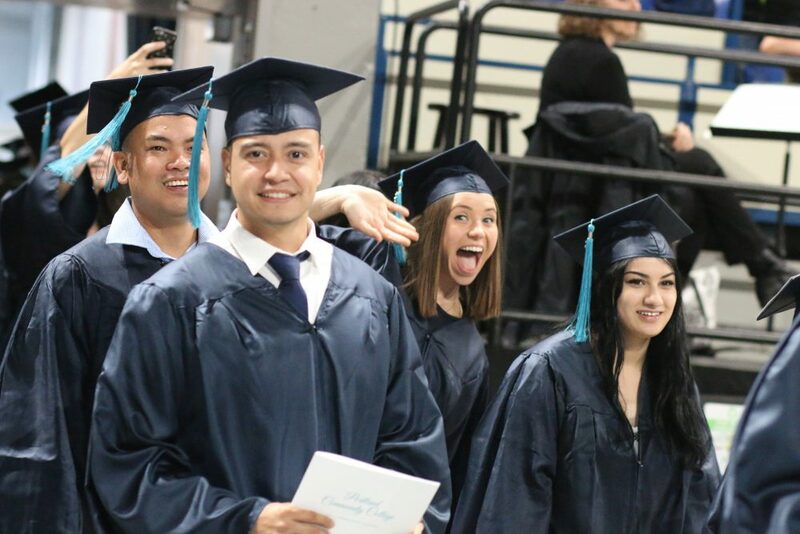 Graduates could be seen spontaneously bursting into smiles, laughter, tears and waving. The aforementioned spontaneous waving from the coliseum’s floor. PCC’s own DREAMers were among the 1,000 or so graduates on Friday. 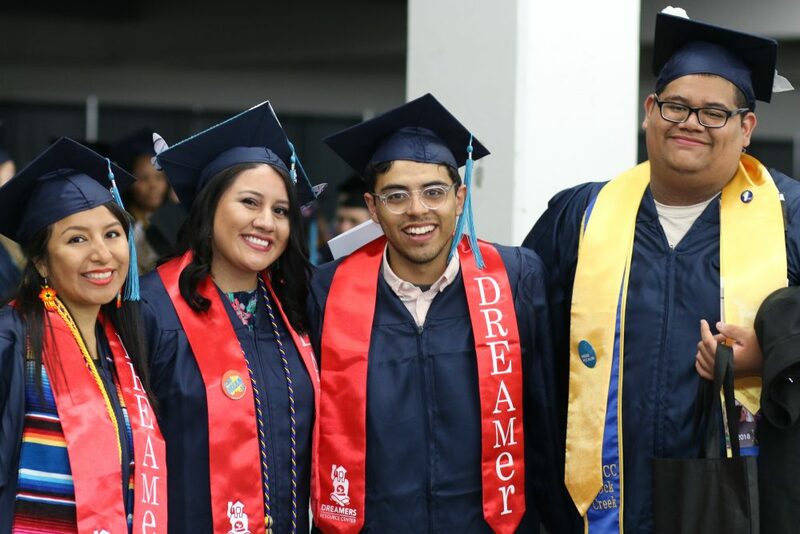 PCC opened the state’s first-ever DREAM Resource Center to assist undocumented students and their families with college resources and legal services. Hundreds of staff joined the graduates to celebrate their accomplishments. A mother and her child capturing a special moment. 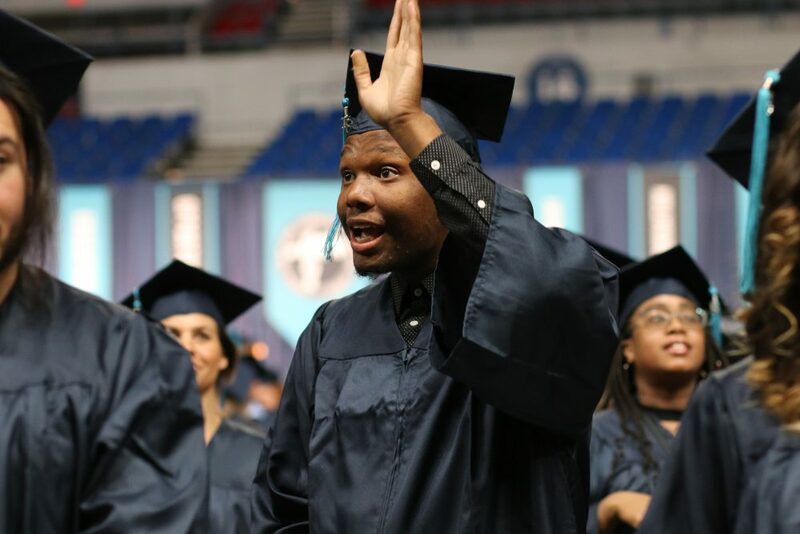 When the graduates first enter the coliseum, it’s hard for them to contain their enthusiasm. Did we say it’s hard for them to contain their enthusiasm? 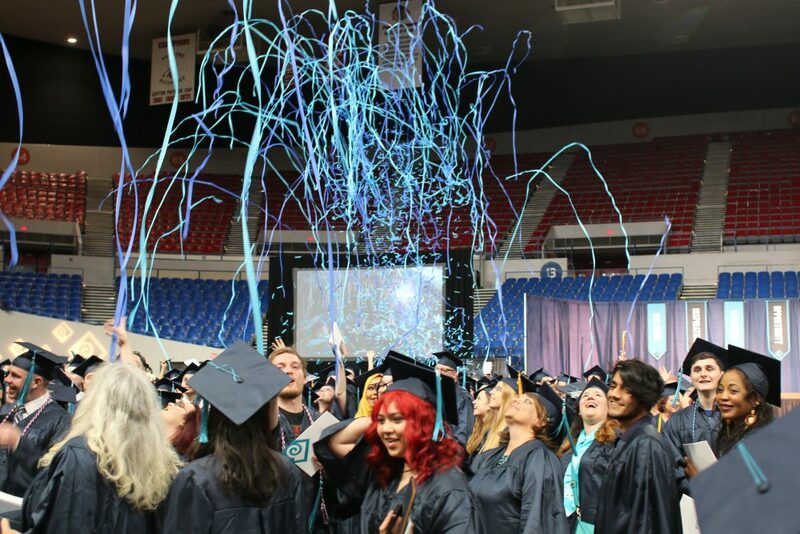 The shower of confetti wraps up 2018 commencement.